18th_close.jpg (17 of 18) the 441 yard par four 18th hole at Arnold Palmer's Bay Hill Golf Club: Another look zoomed in with water, rock, green, and sand all in play here. It's you ability to pick the club focus and execute your golf shot without any doubt and you'll succeed here. 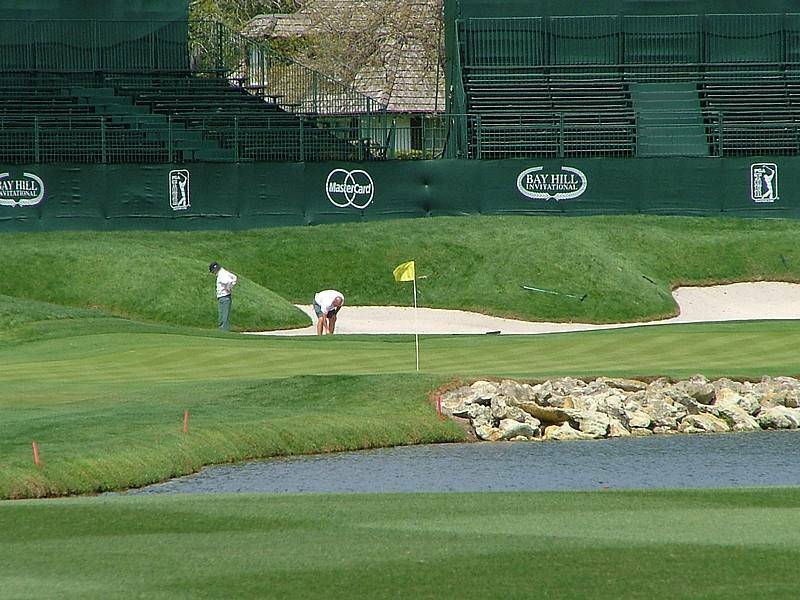 Add the stress of tournament competition to that equation and this hole becomes a great arena for the fans here and at home watching the Bay Hill Classic .